Escape the hustle and bustle of city life for the wide-open spaces of Sonoma’s sporting life. 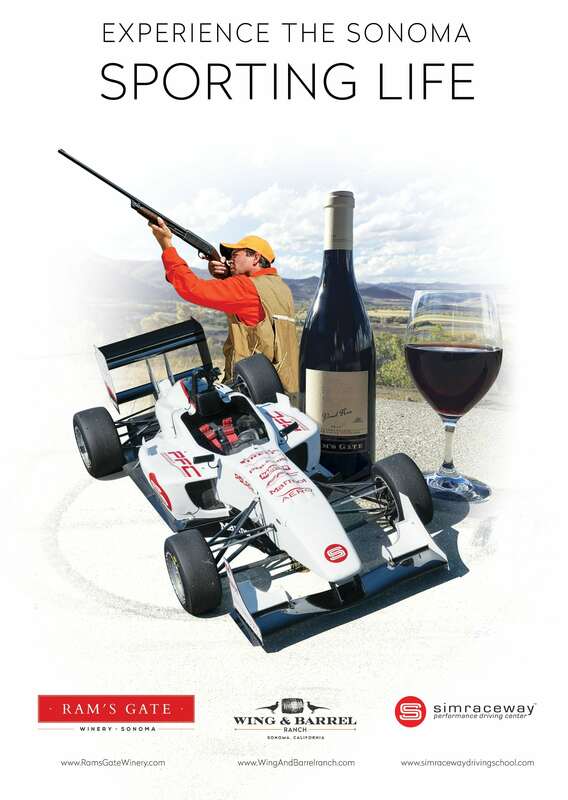 At the gateway to the Carneros wine growing region, Wing & Barrel Ranch, Simraceway Performance Driving School and Ram’s Gate Winery have partnered to offer the ultimate triple play combining the skill of sport shooting, the thrill of car racing and the fine art of winemaking in an unforgettable day for discerning, adventurous travelers. As the sun peaks high over the Sonoma hillsides, take to the track at Simraceway behind the wheels of a Formula 3 open wheel race car, the most popular class of single -seater racing in the world. Offering the most advanced, state-of-the-art facility and road course and the lowest instructor to student ratio in the industry, Sonoma Raceway’s Simraceway is prime territory for budding racecar drivers. After a vehicle dynamics talk and braking and shifting driving exercise, spin around the track for 12 full laps. (12:00 pm to 4:00 pm). The starting price for Good Sport is $10,600 for group of four including tax and gratuity. Experience customizations are available. Contact: For more information and inquiries, please call Simraceway at 1 800 733-0345.